Studying philosophy is an excellent opportunity to think deeply whilst developing important transferrable skills. But there are many practical reasons to get a philosophy degree as well. Philosophy has one of the highest undergraduate employment rates at LSE. In 2014/15, 97% of BSc graduates from the Department of Philosophy, Logic & Scientific Method were in employment, completing further study or taking time out, just six months after graduation. Choosing Philosophy as your subject will prepare you for the kind of careful thinking, critical analysis and persuasive writing that is critical in many different areas of work. The starting salaries of students graduating with a Philosophy subject degree compared to other subjects may surprise you! The average full-time starting salary was higher for 2014/15 undergraduates from LSE Philosophy, coming in at £27,000/year. For a recent report on the high salaries commanded by philosophy majors in the US, take a look at this article in The Atlantic. A more important reason to study philosophy is that you’ll love it. Philosophy poses some of the most challenging questions that have ever been asked, underlying many of the most important questions confronting us today. A few of the central questions include the following. Ethics. What is the nature of the good, and how should we act? Metaphysics. What is the nature of reality? Does God exist, or free will, or a mind-independent world? Epistemology. What is knowledge, and what distinguishes it from mere belief or opinion? Politics and Law. How should society be organized? What is the nature and aim of law? Science. What is science, and what makes it successful? What concepts and methods make science work? Many of these questions find their origins in ancient Greece. But unmistakable progress has been made in understanding many of them, and active new contributions are happening all the time. Studying philosophy gives you the chance to be a part of that progress. A philosophy degree will prepare you with serious training for a number of important transferable skills such as creative problem solving, critical analysis, argument construction and persuasive writing. It is also excellent preparation for further study. Philosophy is a very common degree for students entering law school, and indeed the most common degree held by law students in the United States. Philosophy degrees have long been recognised to provide a solid background in some of the most important skills required for law school, including analytic and problem-solving skills, critical reading ability, and clear research and writing skills. A philosophy degree also puts you in an excellent position to apply for graduate study. For example, graduate programmes in the United States require prospective students to take the GRE entry exam. 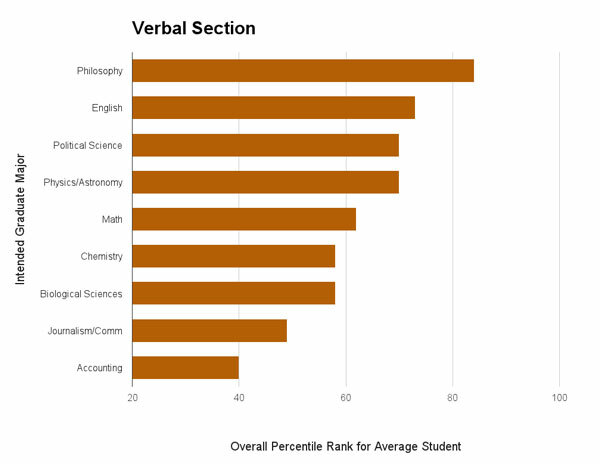 Philosophy students consistently score higher than all other subject areas on the verbal and analytic writing portions of the GRE, and tend to score extremely high on the quantitative portion as well. As you can see, a philosophy degree will equip you with the kinds of skills needed to excel in a wide range of careers. But don’t just take our word for it, find out the 8 secrets to LSE Philosophy graduate success, as recounted by alumni at our recent careers evening. Located in the heart of London, the LSE provides one of the most exciting places in the world to study your philosophy degree. A historic department bustling with cutting edge research activity at one of the most prestigious institutions in the world, a BSc in Department of Philosophy, Logic & Scientific Method at LSE is an incredible and unforgettable experience. Looking for a student’s perspective? MSc Philosophy of the Social Sciences student, Anita, explains why you should study philosophy on the Students@LSE Blog.